"Trust in Thor, but lock your car first." - M.M. 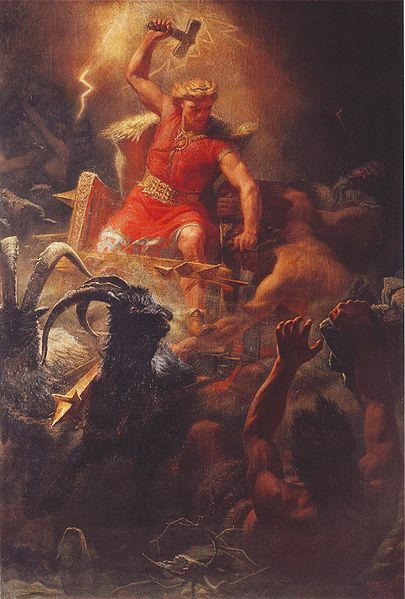 Image: "Thor's battle with the Ettins" (1872), painting by Mårten Eskil Winge. Public Domain.